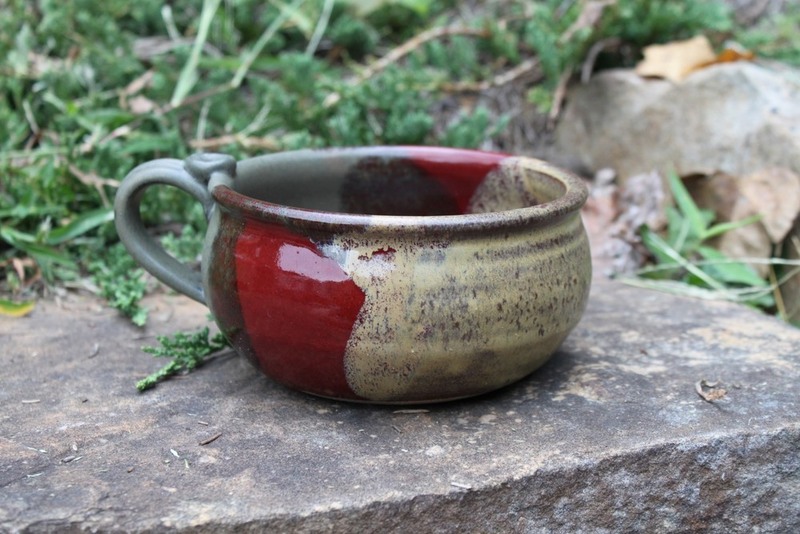 Our hand turned Chili Bowl in high fire Original glaze pattern is wonderful for soups, salads and cereals. The handle keeps fingers away from the hot bowl so that reheating in the microwave is easy. Great for individual pot pies fresh out of the oven. High fire glaze is very non-stick. Cleans easily in an automated dishwasher.